HK MR556A1 556x45mm rifle For California! 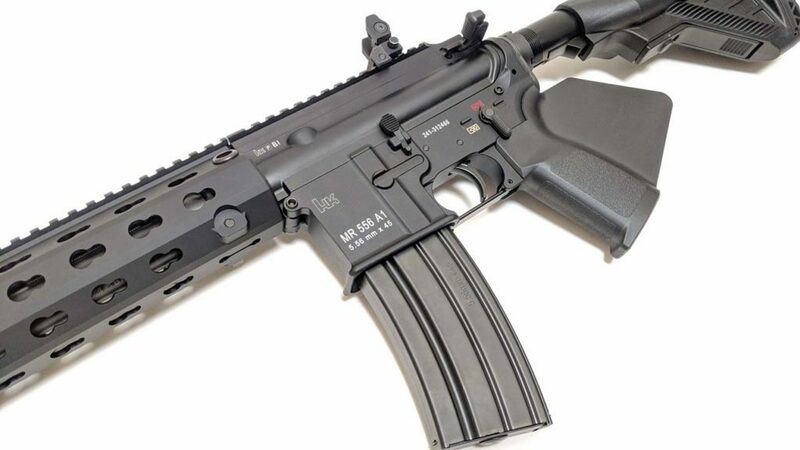 A direct descendent of the HK416, the HK MR556A1 556x45mm is a semi-automatic rifle developed by Heckler & Koch as a premium level commercial/civilian firearm with match rifle capability. Like the HK416, the MR556A1 is a major product improvement over conventional AR-type carbines and rifles. 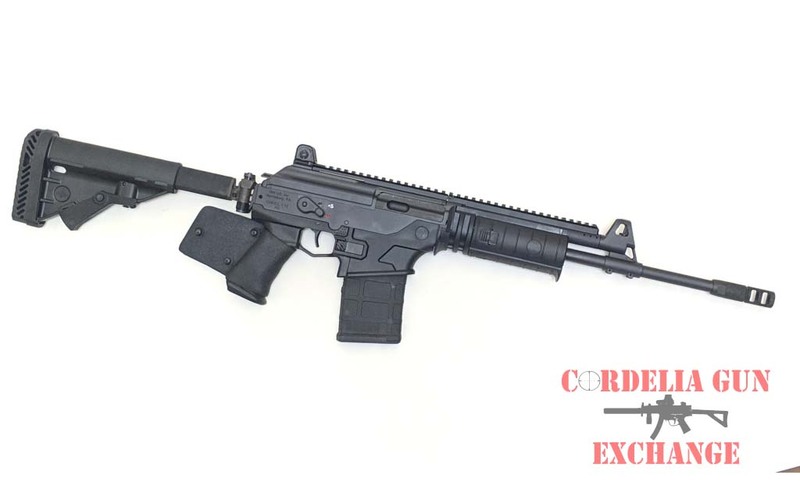 The HK MR556A1 556x45mm rifle uses the HK proprietary gas piston operating system, employing a piston and a solid operating “pusher” rod in place of the gas tube normally found in AR15/M16/M4-style firearms. 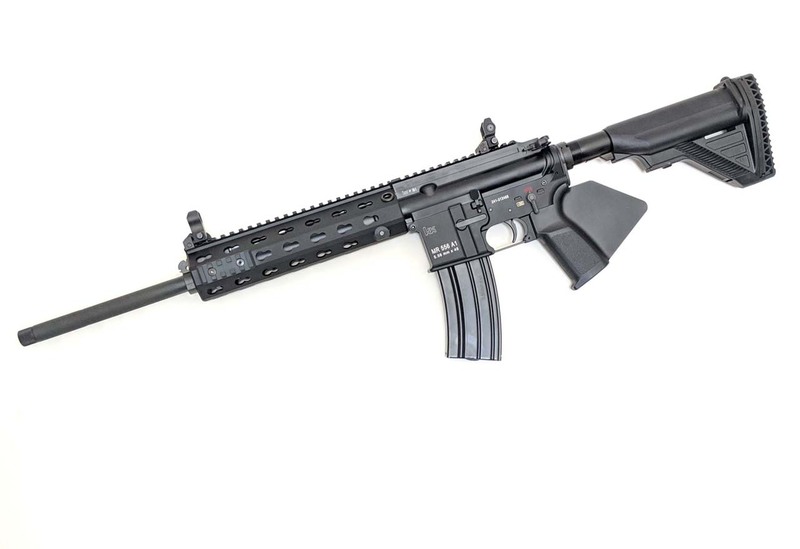 The HK MR556A1 556x45mm is produced in the USA using American and German made components. 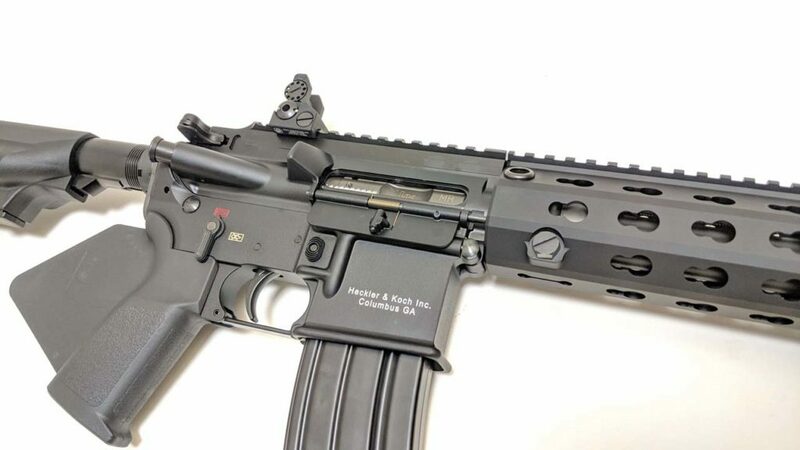 The MR556A1 uses many of the same assemblies and accessories originally developed for the HK416 including the HK free-floating four-quadrant rail system. The HK MR556A1 556x45mm also has a Picantinny rail machined into the top of its upper receiver for mounting optics and mechanical sights. 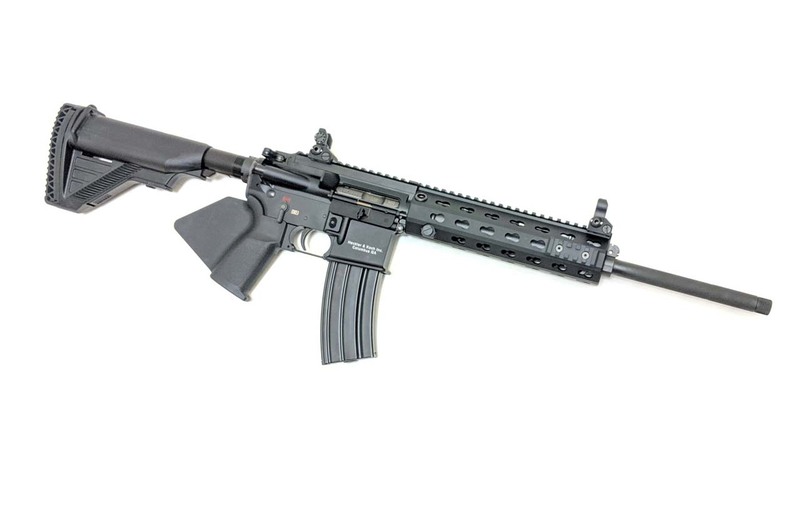 Unlike earlier prototypes, major subassemblies, including the MR556A1 upper receiver/barrel assembly, are fully interchangeable with other high quality AR-style firearms. 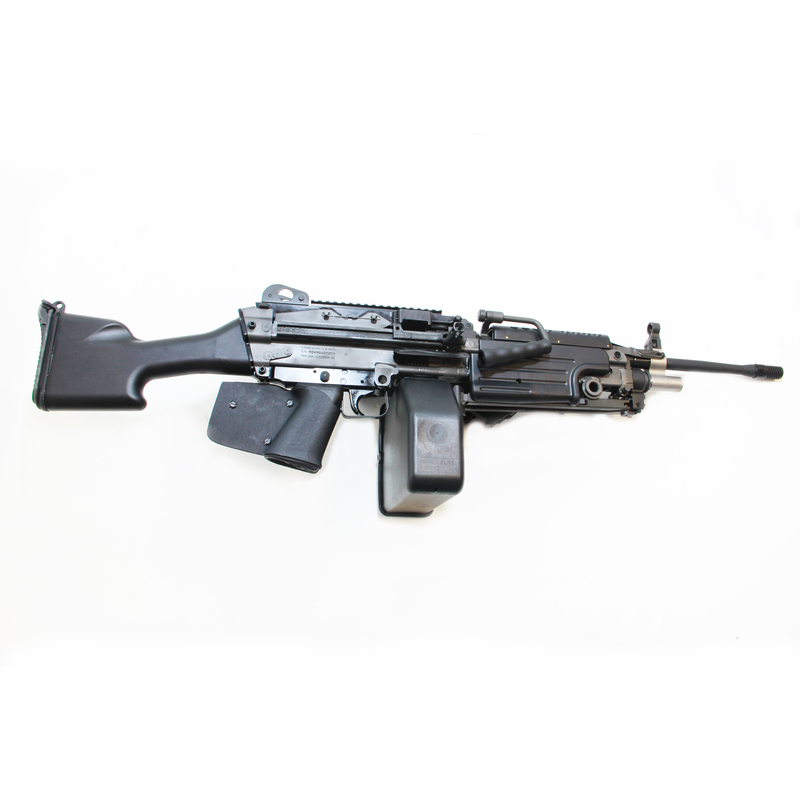 MR556A1 upper receiver kits can be used to retrofit competing legacy AR systems. Like the famous HK416, the HK MR556A1 556x45mm uses a German-made barrel produced by Heckler & Koch’s famous cold hammer forging process. The highest quality steel is used in this unique manufacturing process producing a barrel that provides superior accuracy and long service life. 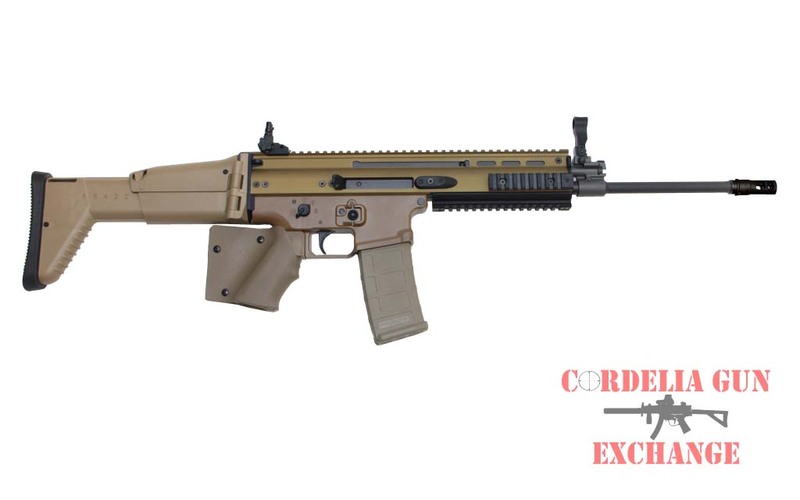 The HK MR556A1 556x45mm is being produced with the same commitment to quality as German-made HK firearms. By using joint U.S./German manufacturing, Heckler & Koch leverages the relative strengths of two continents to make the preeminent AR-type firearm, combining the designs innovations of the USA and Germany into one new product. 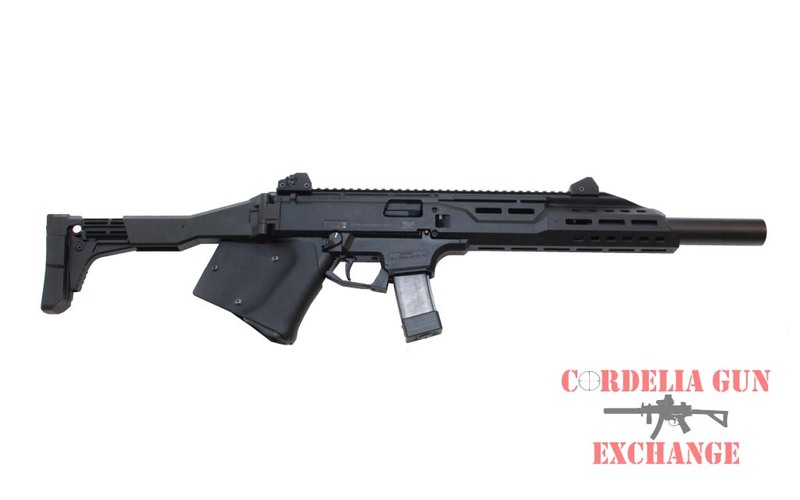 The MR556A1 rifle includes a 10 or 10/30-round steel magazine, set of Troy Industries Micro mechanical sights, HK multi-tool, lock, and case. Installing a Strike Industries Featureless Grip. Replacing the flash hider with a thread protector or muzzle brake. Locking the stock in place so it is “fixed”. The HK MR556A1 556x45mm Magazine has a 30 round body and has been blocked to 10 rounds in order to comply with magazine limit restrictions in California, New York, Connecticut, DC, Maryland and Massachusetts. This magazine has been modified to be sold in states with magazine capacity restrictions.